Hamsters aren't for everyone. Let me just say that first, as a start. Hamsters should be watched with special attention when a young child is involved. Many parents choose to let their young children have hamsters because of their small size and small living arrangements. But, in reality, there are better pets for small children, such as guinea pigs. Hamsters can and will bite, but if socialized they can make very social and sweet pets. You must watch children with pet hamsters as they can bite, and the child can unintentionally hurt the hamster. When thinking about getting a hamster, much less any pet, always do your research first. Who will be feeding the pet? Who will be cleaning the pet's enclosure? Who will be playing with the pet? Where will the pet's cage go? Can you afford food, bedding, treats, and possibly upgrading the enclosure? Hamsters can become very sweet balls of fur, if you take your time working with them. When you get your hamster home, leave him in his cage for at LEAST 24-48 hours, longer if you can. 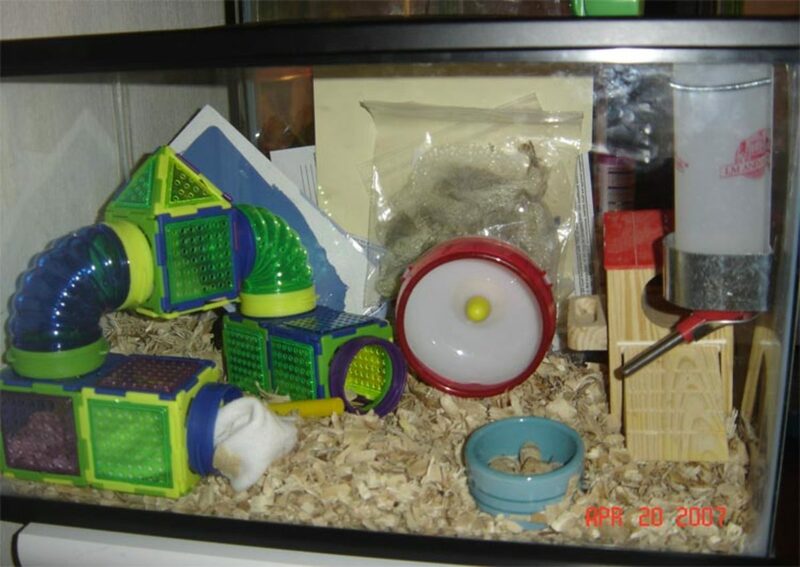 This time alone, allows the hamster to acclimate to his new surroundings, which include his bedding, food, accessories, and layout of the cage, as well as the smells, sounds, lighting, and people outside his new cage. After a few days have pasted, try to figure out your new pets favorite foods, whether it be sunflowers, yogurt treats, raisons, or carrots. Open the cage door, and stick your hand in with the treat in front of him. Let him smell and grab at the treat, this shows him that you're not going to hurt him, but give him something yummy instead. Do this several times in a row, a few times a day, for several days. Eventually, the hamster will realize that you're definitely not going to hurt him, and that you may not be so bad after all. Have your hand a the cage doors with the treat on your palm, and allow him to sniff at your hand, possibly nip and ‘taste' it. The hamster will reach onto your palm to grab the treat, and he'll probably quickly run off. Eventually you'll be able to remove your hand from the cage doors with the hamster still on it. Eventually, your hamster will see or hear you and run to the doors of his cage (if he's even awake), wanting to be let out and socialized. Always, watch young children with hamsters. I heard many a horror story with the child will drop the hamster, throw the hamster's ball with him inside, squeeze him, or worse. Plus, you don't want your child, or anyone else's bitten by a hamster, just as much as you don't want the child to hurt the hamster. Hamsters need the commercial hamster/gerbil diets. For the most part anyone of them will do. Provide your hamster with fresh veggies at least once a week- dark leafy greens, carrots, potatoes, and celery can be given to your hamster. Fruits should be fed sparingly, as they tend to have high water content, which can give the hamster diarrhea. Treats should not consist of more than 10% of the hamsters diet. Treats can include, sunflower seeds, pumpkin seeds, other seeds, nuts, and dried fruits. 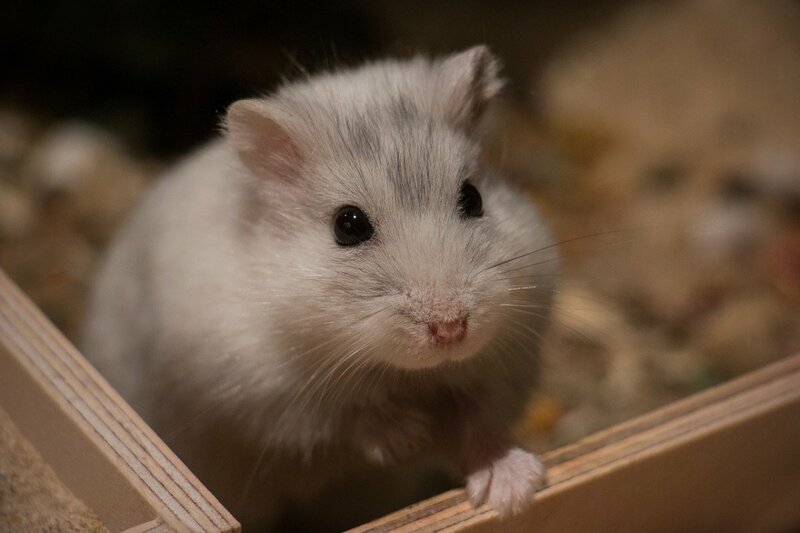 Yogurt drops can be given to your hamster, but not in excess as the bacteria in the yogurt can cause diarrhea. Never feed your hamster chocolate, caffeine, or alcohol. Example of a 10gal. aquarium as a hamster home. Aspen bedding. You can house your hamster in any one of the various hamster/ gerbil habitats made by Critter-Trail, SAM, or any other company. You can even house it in an old aquarium, no small than a 10 gallon tank, though. Bedding for a hamster can include wood shavings, as long as it is NOT pine or cedar, as they both contain oils and aromas that can cause upper respiratory concerns. Aspen wood shavings is a great bedding to use. Carefresh, Total Comfort, and Soft Sorbent, are also good beddings to use. Make sure to clean out the tank at least once a week. That means take everything out and put new bedding in the cage. If you are able to potty train your hamster, you can go two weeks without emptying all the bedding, as long as you empty the hamster potty at least every other day. 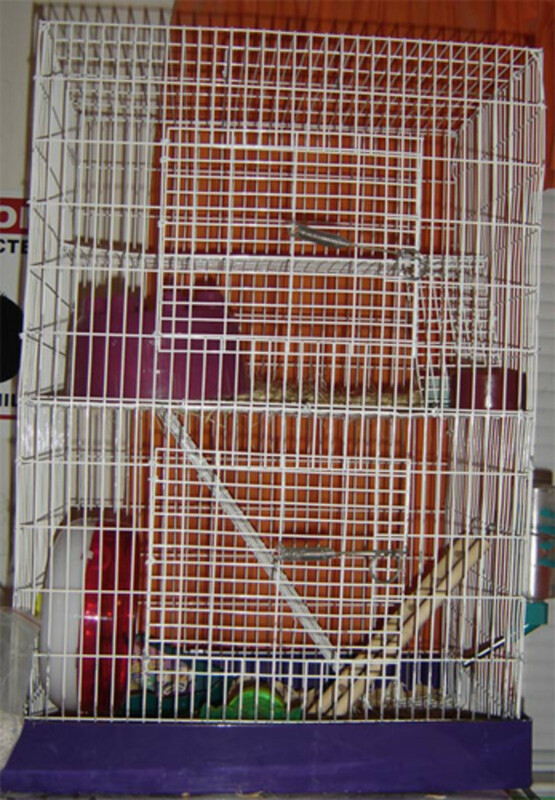 Keep hamster cages out of drafty areas and away from direct sunlight. You, also, want to make sure to keep other pets away from the hamster cage. If you can purchase a stand, or find a stand in your home to put the hamster's cage away from the dogs and cats in the house. This will, also, keep the hamster away from a young child's grasp and reach, as you should remember to only let younger children play with a pet hamster if you are able to supervise. Hamsters are nocturnal, which means they are active mostly at night and sleep during the day. You can acclimate your hamster to your daily routines, making him more active earlier in the evening, but it won't be an overnight change. Hamsters have pouches in their cheeks, so don't be alarmed if you walk by your hamster's cage and notice his cheeks are abnormally large. Because hamsters are burrowing creatures in the wild, they would take large mouthfuls of food from the surface into their burrows. Having these pouches, also, help wild hamsters move substrate around. So, in captivity, your hamster will still exhibit these behaviors of taking all his food from his food bowl, cramming it all into his cheeks, and hiding it in the corner or throughout his cage. He may, also, move bedding via his pouches, moving softer bedding to make a nest in the cage. 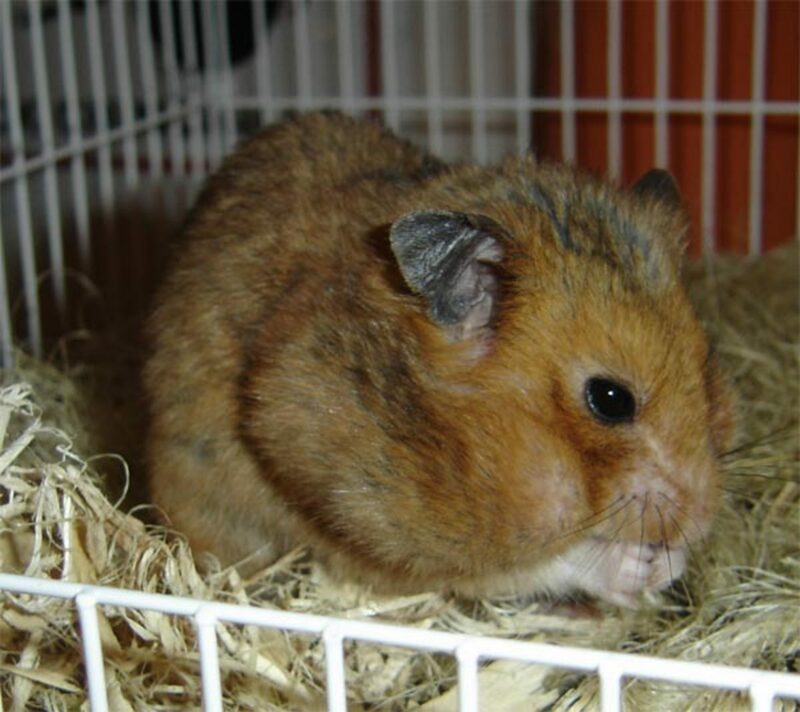 Syrian hamsters, also known as teddy bear hamsters are NOT social with other hamsters. They prefer to live solitary lives versus lives with other hamsters. In the wild, they did not live together, so even in captivity, they kept that trait. 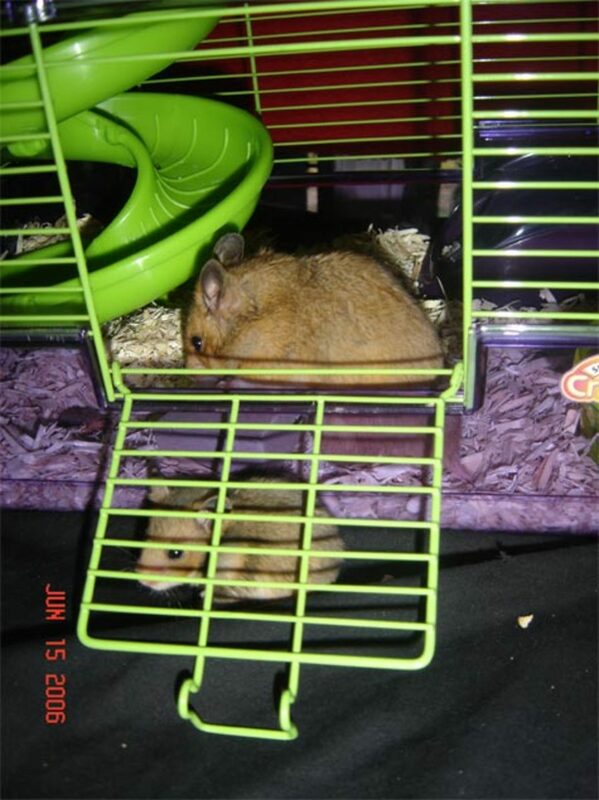 I have experienced having some hamsters tolerate each other and some hamsters not. 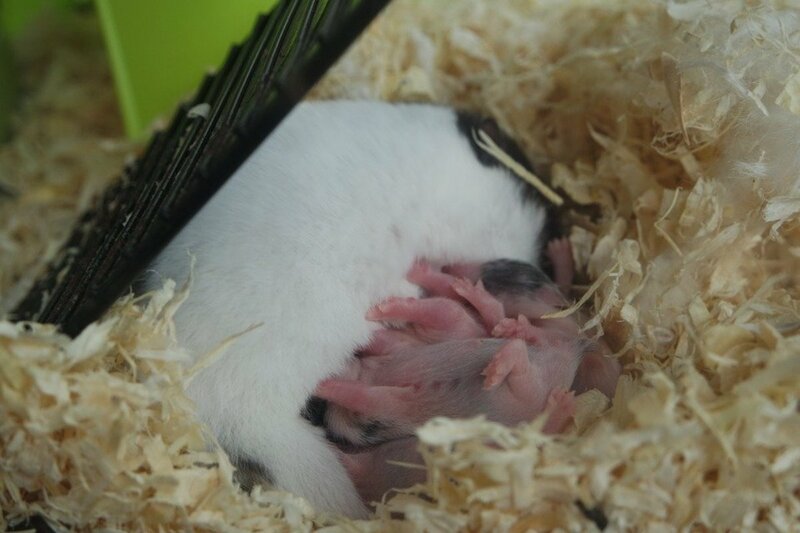 I had three hamsters at one time, two females and a male, and when my females became pregnant, I separated them, leaving one female with the male. The male/female pairing worked off great as they never fought and always got along, but later on, when I tried putting the two females together, the one housed with the male would bully and chase the other female around. For the most part it is NEVER a good idea to house more than one Teddy bear hamster in a cage. It's not the best idea to house teddy bear (Syrian) hamsters together. But, on the other hand, dwarf Siberian hamsters are more social with each other and can live in small groups. Hamsters chew... It's a known fact by many. They have to chew in order to keep their teeth filled down to a reasonable length in order to eat their food. Because hamster's teeth constantly grow throughout their life, you need to provide them with chew sticks. Never give your hamster sticks that you've found outside because you never know what pesticides have been sprayed. Even if you do not use pesticides, the wind can carry over pesticides from your neighbor. My partner and i accustomed to get on top of lifestyle however as of late We have established some sort of opposition. We employed to obtain high on life nevertheless recently I've truly built up a resistance. Sunday evening when I went in to check on the "Little ones" he didn't have anything sticking out of his mouth but boy did he have a cheek full!! Seems like he fixed the problem all by himself. Eating, drinking & running in his wheel. My dwarf winter white hammy seems to have an inverted pouch. This morning I noticed what I thought was his tonge sticking out of his mouth. After a closer look it turns out to be his right side pouch. You can tell he doesn's like it, he seems to be trying to push it back in but doesn't act like he's in any pain. hahaha my hamster just woke up and started tripin' what's that sopposed to mean? Hey, I have just got a Syrian Hamster the store said she was 11weeks old and she is really sociable (in her cage) she takes treats from me and lets me stroke her but the second I try to pick her up she gets scared and bites. Have you any advice on how to help her get more used to me. As she will come up to my hand when I put in in her cage but just wont go on it or let me pick her up. I don't want to leave it too long for her to ever get used to me. how do my panda bear hamster supposed to look when sleeping? Thanks for taking the time to get all of this together. 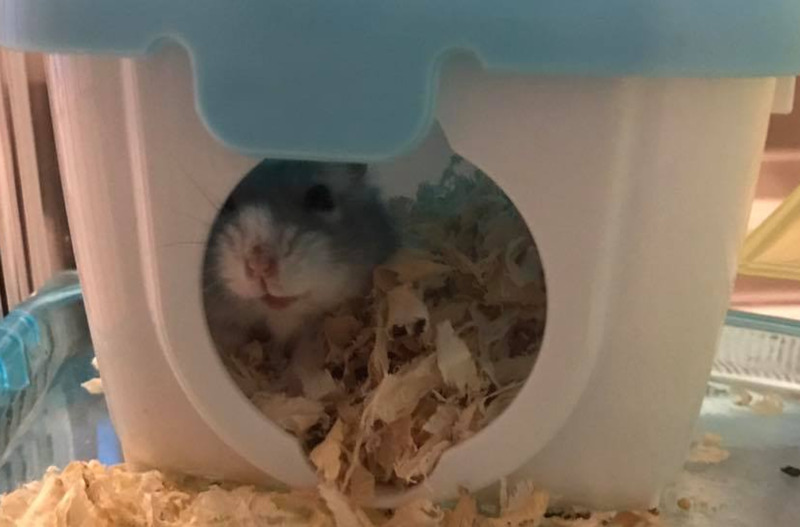 Love the "cheeky" hammie! When i was a kid we had a hamster and instead of spending his life in a cage he had a much more natural home... we unclipped the cage from it's "floor" and put it over a potplant instead so that the little guy could run around and play between the flowers. his wheel and food and a house filled with shavings was also in there and i think he really loved it! Good information! I had hamsters as a child, but found that rats were much better pets. Thanks for sharing. Wettail-death, may also be cause by feeding hamsters lettuce. I had hundreds of hamsters a few years back and they could have about anything but lettuce. Many of them bit the crap out of me too! I never had male in with babies, I read they would eat them, so I may have missed a great experience. You cannot touch the newborns I know because that will make the mother eat them. That happened with my very first hamster and her first baby. It was falling out of the cage and as I handed it back to her she cobbled it down like a little gummy bear. Then when I put my finger up to the cage to scold her she bit clear through the end of my finger! I made a lot of money with hamsters though and bred some real beauties. What a wonderful hub. 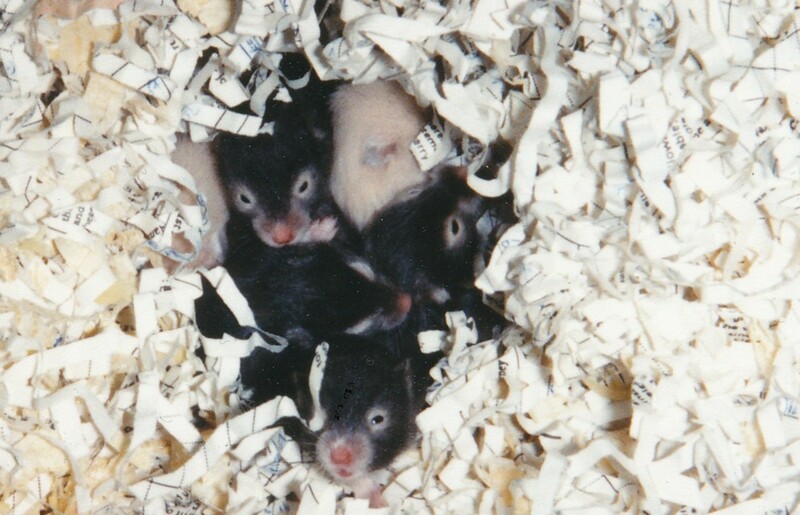 I used to raise fancy rats and I loved them. This is such a wonderfully written hub that covers a great deal of the basics of caring for smaller animals. Congratulations on hub of the day... very well deserved. Nice hub - it reminded me of my sons Fancy Rat - They are similar and cared for much in the same manner. This is a very useful hub! I used to have 12 hamsters. I bought a female one for my dad. The next day, my dad brought a male home to give it the the female as her husband. They got along so well, but they started to multiply. The male helped the female care for the litters. He would wrap his huge body over the wife and the little ones as they sleep. He was the best dad hamster ever. However, it was hard to keep a lot of hamsters in a single cage (some of them did not get along), so we had to buy a few more cages. I used to have a wire cage for my hamster. They loved climbing on it. One morning, we found a poor hamster hanging upside down on the cage. Her foot was stuck between the bars. I had no idea how long she got stuck. It was quite traumatic for her. She was limping when we put her on the floor. Luckily, she recovered. I realized that it's really important to always keep an eye on them. This hub brings a lot of memories. I miss my hamsters. They were sweet. Some of them used to sleep on my palm while letting me massage their back. There were also a few times when a hamster peed on my palm LOL. Voted up and useful. What a comprehensive Hub! I love having hamsters. They are so resilient - they would escape from their cage sometimes and I would find them later totally fine, having gotten into the cat food and stored it away in their cheeks. what does it mean when a hamsters eyes are shut walking around at 7 weeks old? I needed information about hamsters because yesterday I got a female hamster.Thank you because I found this article very infomational.Thank you and happy school year! My hamster is hardly eating or drinking!!!! I keep checking the water bottle to see if he is, but it is hardly changing!!! Is he ok??? I'm really worried. hey i have a syrian hamster and it just had babies one baby died because she bit it and we got it out right away and now it's been 10 days and the cage smelled real bad nd their was molded fresh vegtables everywhere in the cage so we didn't touch the babies we put gloves on and used a spoon but then when we put them all back in the cage the mom went crazy started dragging them around nd was digging everywhere like if she was loking for something and then when i went to put the food back in their she tried to bite me is this normal? I might be getting a hamster from my friend in 2 days. Well, I was wondering would it do any thing to the hamster if she gave it to me. Like would it get sick of being in a different home, a different smell, or maybe different food. I just do not want it to get sick or die. So please answer me when tou get back on. If he scratched his face and it is bleeding, even slightly,put on a human antibiotic and let him do the rest. If it continues bleeding after 2 days at the same rate, take him to the vet immediateley. If it is a small scratch that is not bleeding, he willl lick himself clean, so you do not have to worry about it. My daughter got a hamster for her birthday in May of 2009. Just in the last couple days we noticed that his bottom is swollen when he wakes up. He has fresh water and food. Is this a sign that he is dying or could it be his male parts? he is the only hamster we have. A paper-based bedding is fine. More than likely it will need to be changed more than once a week. Can i use paper shavings as bedding? And if u can/do would i need to clean it more often because it has cat litter-like qualities? Pine is toxic. Stick with aspen, carefresh, etc. Did he bite or nibble? would pine bedding be ok for my hamster? I've heard it's not safe, but I didn't know until I've already bought it, so do you think my hamster will be fine.. temporarily? wat do i do if my hamster is too fat? is there a special diet? I really want a pet hamster for christmas but mum won't let me have one can you give me some tips so then hopefully can become an expert!And wil get one. by the way i want a teddy hamster! I have a 1 1/2 year old hamster and the last two times I cleaned his cage I've found maggots. I clean his cage every 10 days like I do for all my rodents(I also have a rat and mouse), but for some reason it's only the hamster's that's had maggots. Over the last 5 days he's stopped eating, and when he does eat it's only a little bit(like he'll nibble on it then just curl up, which is odd because he usually just stuffs food in his cheeks until they're twice his size). He's deathly skinny dispite his size and he hasn't been running on his wheel at all. When he gets up he stumbles and sometimes falls over, and even when he sits still he wobbles. He's been really cold so I put cotton in his little house for him to curl up in but it doesn't seem to be working. Today I've had him out a lot, like in my pocket trying to keep him warm but my hands are so cold it really doesn't help if I hold him. Right now he's between my theighs and under my laptop and that's keeping him nice and warm but I can't do this all the time. I really wanna take him to the vet but I don't have any money because my cat and horse have recently visited and left me broke. I'm 15 and don't have a job and my parents refuse to pay for a rodent to go to the vet. Is there anything I can do for the little guy? A two level cage would definitely add to more enrichment for him. It will definitely cut out the boredom. Also, the wood chews are vital to help keep the teeth filed down. Just shop around to find a cage that you're comfortable with. My favorite is a 2 story wire cage that has a full top level, so when my hamster would climb and hang, there wasn't very far for her to fall and serious get hurt. He has a salt thing in there, but no wood chews, no. I'll go buy some next time I'm out! Other than his wheel there's no toys. I'm thinking of investing in a larger cage so he can have more stuff in there. Do you offer wood chews? That would definitely be something that you could do. He could be chewing on the bars to get attention. Do you have enrichment and toys in the cage? I have a quick question, and I hope you respond. I feel like the most despicable person on the PLANET right now. My long-haired hamster Frodo likes to chew the bars of his cage; I suppose to help shorten his teeth? I've had him for two months roughly (I'm 17) and he's been in great health thus far. No wet-tail, no nothing! He's very friendly; he likes to climb on me when I bring him out, and he and I can sit there with him on my shoulder for some time when he's out too. I love him to bits and pieces. Tonight he was chewing on the cage bar, and I reached around to offer him a piece of celery instead. He FREAKED out, jumped back, and started squealing and licking at his teeth. He kept licking at them for a while, and he's stopped now, but I'm HORRIFIED that he might be hurt or something. I've tried to look at his teeth, and I see no blood, but I can't actually look at the full teeth themselves. He's eaten a piece of celery and a little fruit-piece that comes with a bag of mixed food I give him as snacks. But I don't know if he's actually okay and I'm just overreacting or if he's hurt. He's making a sort of... Clicking-ish sound when he eats, and I can't recall if he does that usually or not (my memory is awful when I panic.) And when he licks at his teeth (I THINK he's licking at them?) he makes a bit of the same noise then. I think I just scared him (God, I HOPE he was just startled) because I saw a bit of urine on the side-edge of the bottom box part of his cage afterwards. Is there any advice you can give me? 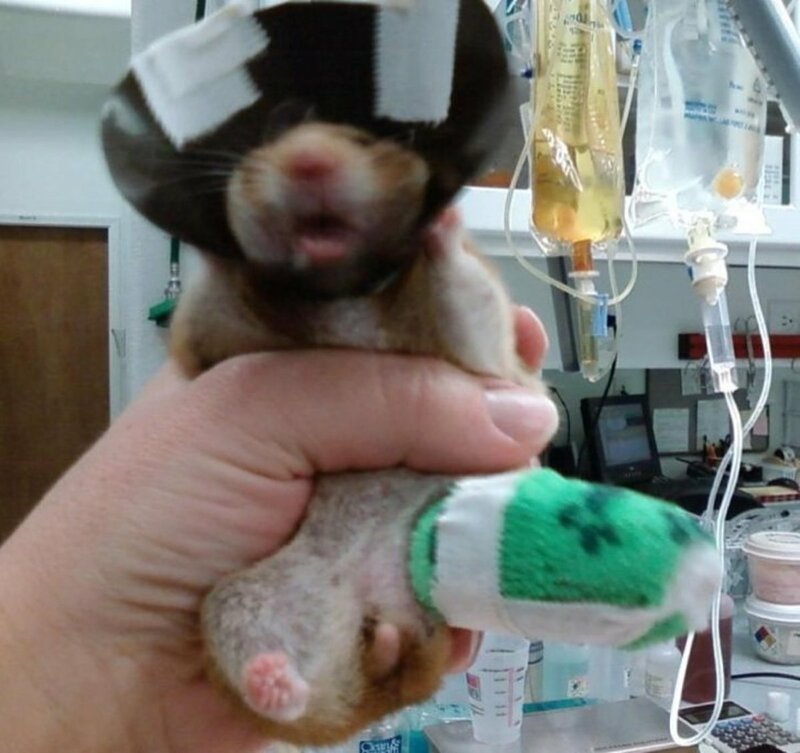 Can hamsters even hurt their teeth? I'm so worried that he might be injured in some way because I spooked him and I feel AWFUL. I've just gotten a new hamster and my sister accidentally shut the front gates on his paws, it made a squeaking sound but now looks fine. should i be worried? You should get xrays to see if the legs or hips are broke, or if he's just paralized. Hi im hoping you can give me advice, 2 days ago i put my hamster in his ball. And i beleive he must have been kicked by accident. When i put him in his cage i noticed he was dragging both of his back legs. Today i was caressing him feeling so bad for him, i noticed his tailbone is out of place. He is eating and drinking water, but i hate to see the little guy drag his legs. I will take him to the vet, but im afraid they will just try to put him to sleep, or tell me they cant do anything because of his size.im not sure what to do because im so attached to him. But i don't want him to be in agony.Any advice?? Besides taking him to the vet... Thank you. Wettail is severe diarrhea caused by stress. It can be contagious from what I've heard, although I've never experienced it being contagious. Yes, it is fatal. Erika, that is not the definition of wettail and that is not what happens. I would try to get it off. You may want to try a lukewarm moist washrag to gently wipe off the bedding. on two sides of my hamster there is a small bundle of bedding on it's fur. and when he cleans himself he can't take the bedding off, and he doesn't seem like he minds it, but where ever he goes there's two clumps of bedding on each side of him! I can't pull it off, it pulls his fur. will he be ok with it stuck on his fur. is there anything I can do? and that one small dog is enough pets for our family. What do you think I should do? P.S. I am 11 years old. I'm getting my 1st hamster towmorrowand this was very helpful thanks!! It may take time to get used to the new cage. Just make sure the ladders aren't too steep. we got his cage today with the levels and the ladders, but my hamster won't use the ladders to go down from it's level, it just jumps off, sometimes from the very top level, and he doesn't seem hurt, but it's scaring me, do u think my hamster knows what he's doing, is getting hurt? Just put plenty of solid things to walk on, and taking out the wire bottom would be a good idea. ohh, well everything in the cage is wire, I can take off the bottom, because it has a plastic tray underneath it, but other than that, the two other levels are wired. Are the floors plastic or wire? Too much wire under the toes can cause bumble foot. Try adding plenty of solid things in the cage to stand and lay on. Also make sure that the bottom of the enclosure doesn't have any wires, but the bedding. thanks, but im actully getting the all things living three level hamster home, instead.. do you think all the bars as the flooring ok for my hamsters feet? It may take a few days of adjustment, but the hamster should be fine. When changing the enclosure, try to keep it in the same area, and reduce handling for a day or so. 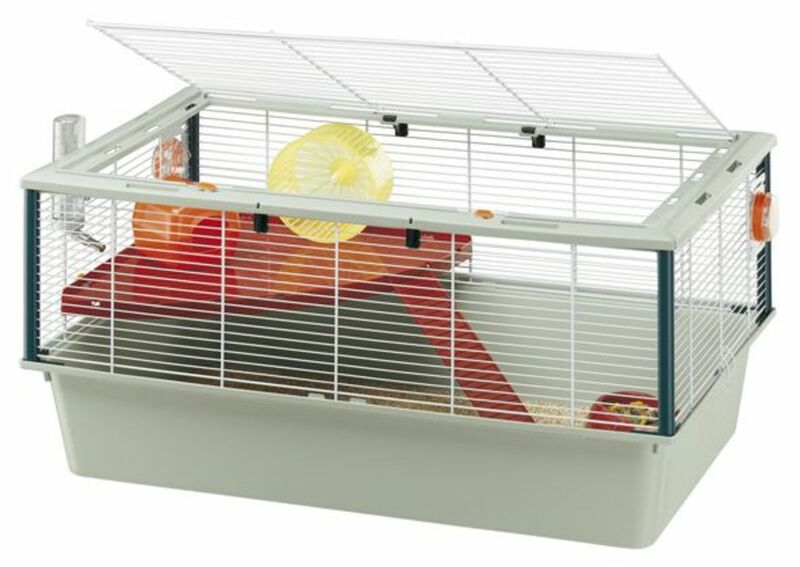 hi, right now I have an aqurium for my hamster, and I want to swich over to a crittertrail x cage, but will it stess my hamster out?? Just leave it alone for a few days to see if the hamster's body can heal it. You've done the initially cleaning which is good, just wait and see what happens. Watch for signs of infection. If you seen any signs of infection, you'll want to see a vet, otherwise, you should be fine as is. I have 2 dwarf hamsters that were bought together from the same store so they were already socialized. However, at home they do get territorial and squabble. Nothing serious kinds like kids tell them to stop and they do. The other day though one got injured on the back of his ear so i clean ed him up and put him in a separate cage. Tonight I noticed there was a blood clot where the injury was under the scab. Its not bleeding now or getting bigger it is just there. Hes eating, drinking and acting and playing normally. If there isn't anything worse that happens should I take him to be seen by a vet or just keep cleaning it like I am? And again he's playing fine running around on his wheel and climbing like always. I love my hamster to bits I named him after david cameron! my hamsters name is cameron.Don't worry by the way hamsters are really easy to take care of. Hi i'm really nervous about getting a hamster because i have never had a pet by myself before. My parents say i can either get a hamster or a fish. I really love hamsters but after reading about them they look a bit to hard for me. I've never had a hamster or even had a friend who had one so i have no mass on them and that makes me really nervous!!! My room is pretty small so i can't have a very big cage but i was thinking of getting a tall one. Is that possible? 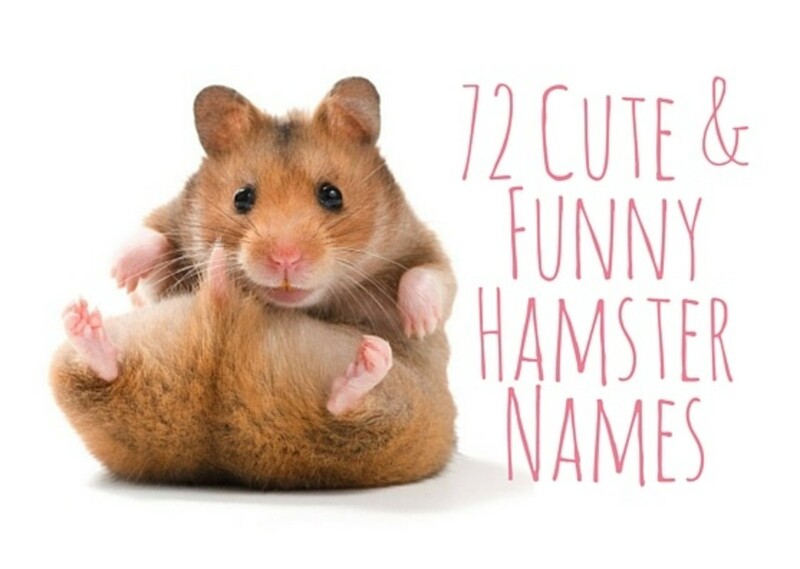 What breed of hamster do you think would be best for a beginner? Is there any good tips you could give me? my hamster has a black spot on it's head.. I don't know what it's is, it looks like her fur is dirty but it can't be, because there's nothing black in the cage that could have done it, what can it be?? Alrighty thanks for all the help!! not necessarily, but it's highly likely in pet store hamsters. she's new and still adjusting. give her some time. Ok my last question, I just got my hamster yesterday and she's 6 weeks old. She has been running on her wheel but she hasn't touched her food yet or her water. Is that normal, also every time I walk by, or she hears a loud(ish) noice, she either freezes or she goes in this tunnel and hides, will this behavior be normal for the first few days? so basically all hamsters will get it? Wettail is a common health issue with hamsters. They generally only get it once, sort of like chicken pox, but they HAVE to be treated. You can offer the dritail drops via syringe as a preventative for the first few weeks after bringing the hamster home. Does wettail occur once the hamster is stressed, once. Or does the hamster need to be stressed out often? I'm getting my hamster today, but I'm afraid of her getting sick or getting a disease. Is it likely that the hamster WILL get a disease. Do most hamsters get problems? The hamster will chew up the box. It is safe, but you'll need to replace it. It won't take long for the hamster to chew it up. Oh and I have another question, can I use a tissue box for my hamster to use? Like, is it safe? I wouldn't let the temperature get too hot in your room. Room temperature is fine. Most houses are around 75F or so. Hi I'm just about to get a hamster and it's going to stay in my room. I wanted to know what the highest room temperture a hamster can withstand. Because my room is the second floor and I'm sure if it would be safe for the hamster. I have two hamsters that were in the same cage and started to fight so I recently separated them before any damage was done to either of them. Now that they are in different cages, they both sometimes act weird and maybe mre skittish they also sleep a lot more. They are only a little over a month old. 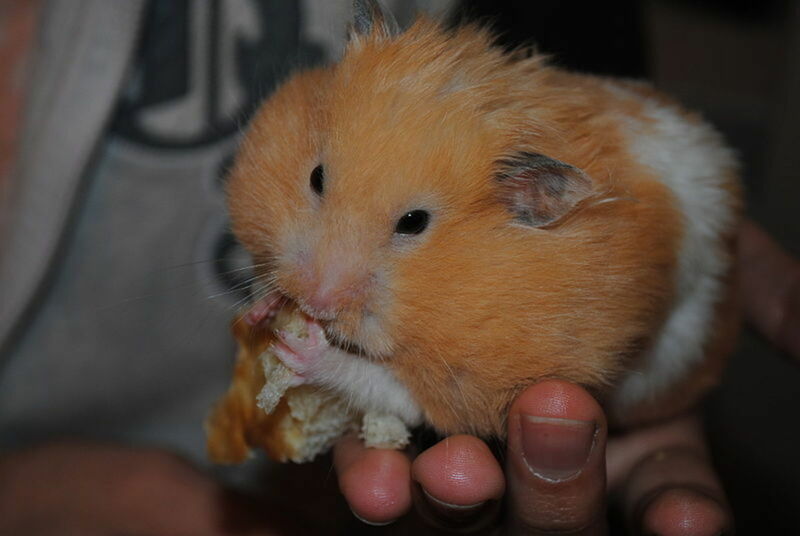 Also, my one hamster(butterscotch)keeps sneezing and rubbing its nose until it starts to turn red. he also seems to be scratching more and i looked at his fur and skin and saw no bugs. Please Help, I'm worried. Sometimes hamsters take a while to tame. Just work with him. Start with your hand in the enclosure and letting the hamster come up to you. The more you try to force a relationship with the hamster, the further away he will go. Dwarf hamsters are fine with other dwarf hamsters. It's the teddy bear hamsters that are quite territorial and do not co-habitate with others well. Do you hve any tips on taming a robo dwarf hamster?I Got it two weeks ago at petsmart and he has a crittertrail starter habitat with a chew proof water bottle. (I had to get a new one couse he couldn't reach the one that came with the cage)he also gets along well with my bros hammy. the hamster is pretty old. I'm not sure what exactly is wrong with yous. I would consider a vet. He could have scracthed his face on something in the cage, which could have caused the swelling. Hi, my hamster cant open his eyes and he looks swollen. I also notice his skin looks red around his face. We have had him about 1 1/2 years. But I am not sure how old he is b/c we adopted him from a pet store where someone just left a cage full of hamsters. hi is it normal for a hamster to bite his cage bars? quite surprised an inch was cut off as hamster's tails aren't an inch long to begin with. I would take the hamster to a vet. otherwise, just keep it clean and avoid infection. Hey. I am a teacher and a co-worker has a hamster. Today I was looking at it and playing with it but when I put him back in his cage I accidentally shut his tail in the door. We didn't notice until later when his tail was bleeding. It took a good inch off his tail. The tail bone is poking out and it is still bleeding. I feel horrible! What should I do? Try a mid-point. No drafts. No direct heating, sun, etc. Just a midway point.